The Boston Terrier was originally crossed between an English Bulldog and the White English Terrier, which no longer exists today. 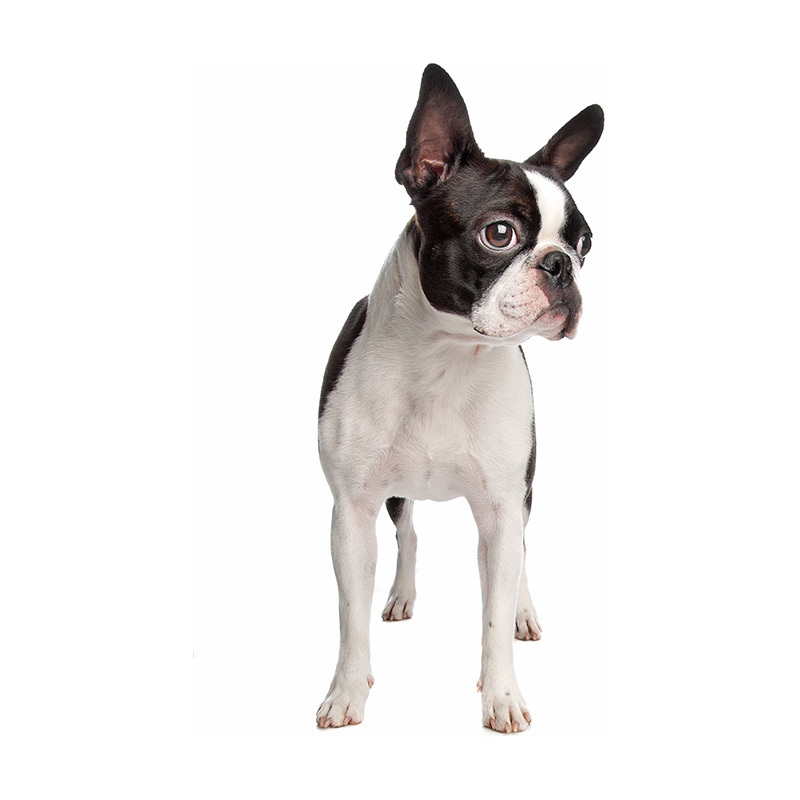 They were developed in the 1870s in Boston, Massachusetts, which eventually resulted in their name, the Boston Terrier. They were originally known as “Round Heads,” “Olde Boston Bulldogges,” “Boston Bulls,” and the “Boston Bull Terriers.” One nickname that is still used today to describe the wonderful Boston Terrier is “The American Gentleman.” The Boston was especially popular during the Roaring 20s. He was recognized as the state dog of Massachusetts in 1979. Unlike most dogs who were bred for specific purposes such as hunting or fighting, these great little dogs were bred just to enjoy the company of people. They are delightful best friends to many. Because they are so easy to get along with, they are ideal animal-assisted workers where their sole job is to put a smile on the faces of patients in nursing homes and hospitals. Bostons are full of fun, loyal and loving. They are intelligent and, though a little stubborn, easy to train. Boston Terriers usually weigh between 10 to 25 pounds and stand between 15 to 17 inches tall. They are a medium-sized dog with a well-balanced, compact frame. Their coat is short and usually black and white in color; however, brindle, seal, black and brindle, and white are also available. Boston Terriers are the 11th most popular dog registered with America's Pet Registry Inc. Warren G. Harding, the 29th President of the United States, had a Boston Terrier named “Hub.” Gerald R. Ford, 38th President of the United States, had two Bostons, “Fleck” and “Spot”. Helen Keller, Rose McGowan and Denise Richards are a few other famous personalities to have owned Boston Terriers.